A while back, I was invited to a dinner at Ototo in Denver sponsored by Star Olive Oil. All of the dishes were made with olive oil, including dessert. While it was a great dinner, it was hard to really discern the differences in flavor of the oils in the finished dishes - so I decided to have a little taste test at home. I brought home samples of some of the oils from the event, and then I went shopping to pick up a few more versions of the olive oil to make a more complete selection. I sampled the following oils: light-flavored, original extra virgin, California extra virgin, organic olive oil with omega-3 and DHA, and holy land olive oil. I tasted all of them with bread. I started with the light flavored oil, and it was indeed very light. This is the oil you want to use for dishes where you don't want the flavor of olive oil to be prominent, but you do want the health benefits. Next were the original extra virgin followed by the new California extra virgin. After tasting the light oil, these were both much more flavorful with a bit of the peppery flavor at the finish. After several tastings, I could detect differences between the two, but they were very similar. The California had a "greener" flavor up front as well as little more bite on the back end. The original was very similar - so much so that in a salad dressing or mingles with other flavors, you might not be able to tell the difference between the two. I mean, I was eating this straight-up with bread. And my husband said that he couldn't tell the difference between the two. The big difference, then, is that the original extra virgin comes from Spain, while the California is, obviously, domestic. Next up was the organic with omega-3 and DHA. This one has a slight fishy flavor; not in a bad way, but like some people notice a fishy flavor in eggs with omega-3 and DHA. The flavor isn't strong, and some people might not detect it, but I'd suggest using it in dishes where the flavor makes sense or where other flavors would overpower it. There is also an organic oil without the omega-3 and DHA. I didn't try that one; I might give it a shot later, but right now I have a lot of open bottles of olive oil. Last was the holy land olive oil. This one isn't for sale yet, but it should be available soon. It had a more buttery flavor with less of the peppery finish. I'm not saying it was mild or tasteless. The opposite, in fact. It had a very rich flavor, without as much of the assertive peppery note at the back of the throat. If I had to choose just one oil, this might be it. Fortunately, I don't have to choose. And believe me, I usually do have several type of olive oil on hand at all times. Disclaimer: I received some of the oils as a sample, but I also purchased some of them. Besides using olive oil for cooking,salads and such,what's your favorite olive oil for dipping? Matt, I can't say that I have an ultimate favorite. I tend to buy different brands when I see them, and lately it seems like there are new ones every time I look. For dipping, I prefer the smoother, more buttery oils, though. So from this batch, I'd probably go for the Holy Land oil. I've also had a few unfiltered oils that were interesting, so if I see a new unfiltered oil, I tend to reach for that one to test. This is good news on the differences. After reading this I am going to add to my collection in the pantry! Thanks for the tips. I do recall the differences but we had an olive oil tasting at the event that you missed. Just the oils and plain bread. I often serve olive oil with just a touch of seasoning for dipping when I have guests and I do agree that the Holy Land Oil is the richest (maybe bestest too!) of the bunch. I've got an amazing olive oil from the Hazan's brand from Italy that can't be beat, but these oils were very good and will most certainly find a regular place in my pantry too. Yeah, I saw the oils on the way in, and they were pointed out to me when I arrived, but once I sat down, I forgot all about them. The taste test at home was interesting, though, because I tried them several times over several days. 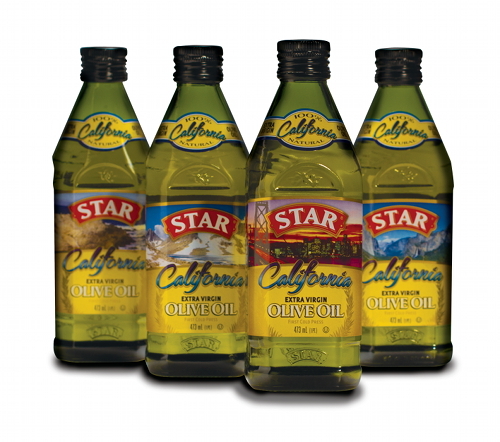 My favorite Olive Oil is still Portuguese Olive Oil!